Education Minister, Rosy Akbar confirms that they are not forming an Education Commission. Her comment comes as SODELPA’s Ro Teimumu Kepa had questioned in Parliament last week as to what has happened to government’s plan to have an Education Commission and also asked whether Cabinet has put an end to this idea. 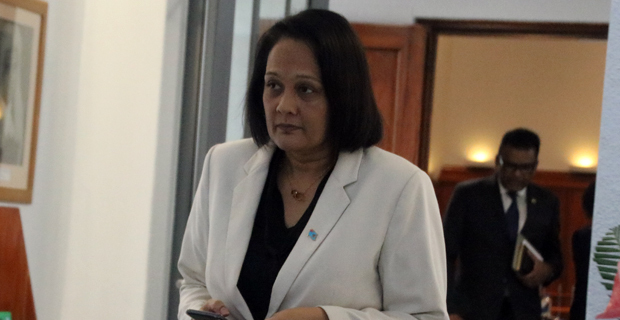 In her end of the week statement, Ro Teimumu had stated that on 15th October 2014, the then Minister for Education had told Parliament that major changes will be made following the report from the Education Commission. Ro Teimumu says the then Minister for Education had said that the Education Commission would be established in 2015 following Cabinet’s approval. When questioned by FijiVillage, Akbar says there will no Education Commission. Meanwhile, Akbar had highlighted in Parliament last week that work on aligning education to meet the needs of the employers for specific skills is already underway.